Why do some horses become Insulin Resistant? How is Insulin Resistance/EMS managed/treated? 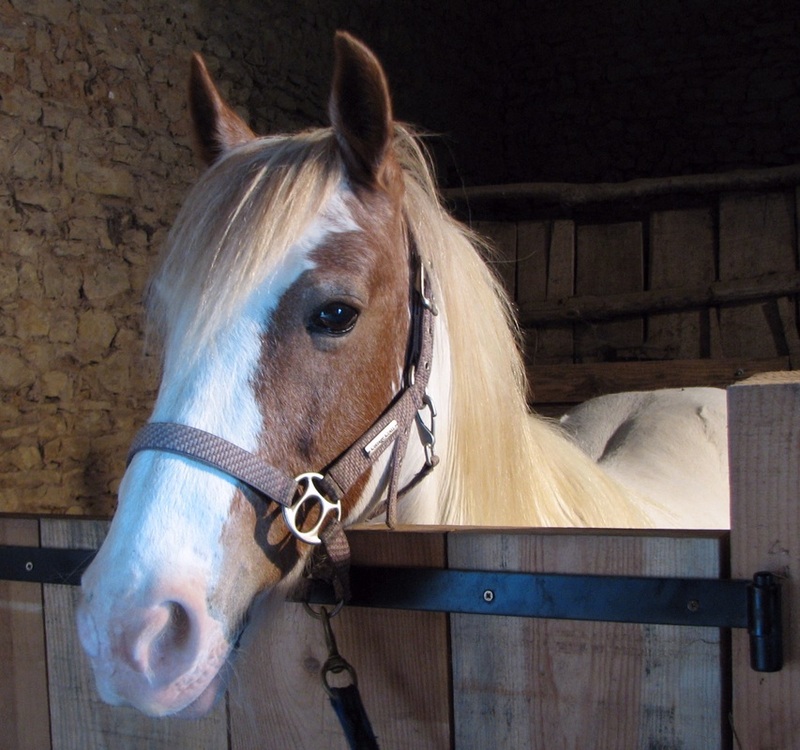 - a predisposition to (history of) laminitis. They also often have a history of easy weight gain from adulthood, a ravenous appetite and/or poor exercise tolerance. 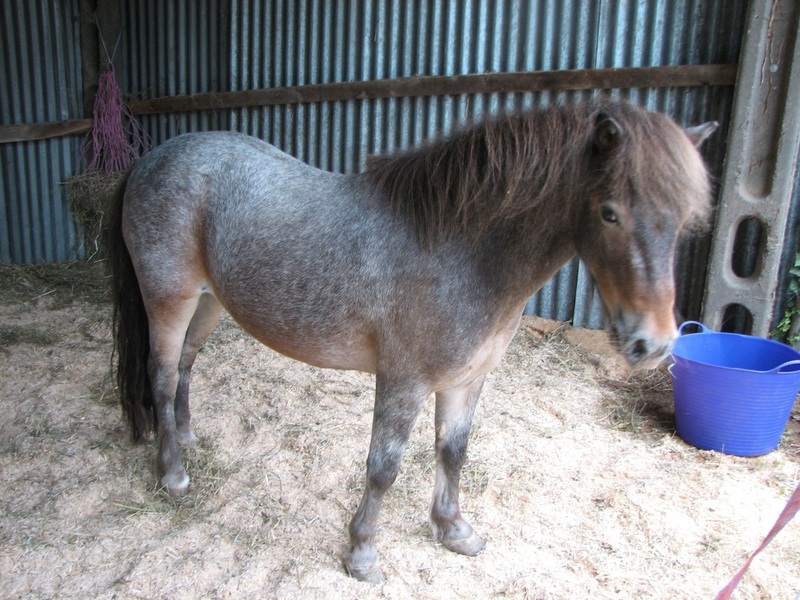 However this 7 year old Welsh pony was not overweight and had no obvious fat pads, but had insulin > 300 µIU/ml and a history of laminitis, so does have EMS - horses with EMS are not always overweight and can be underweight. 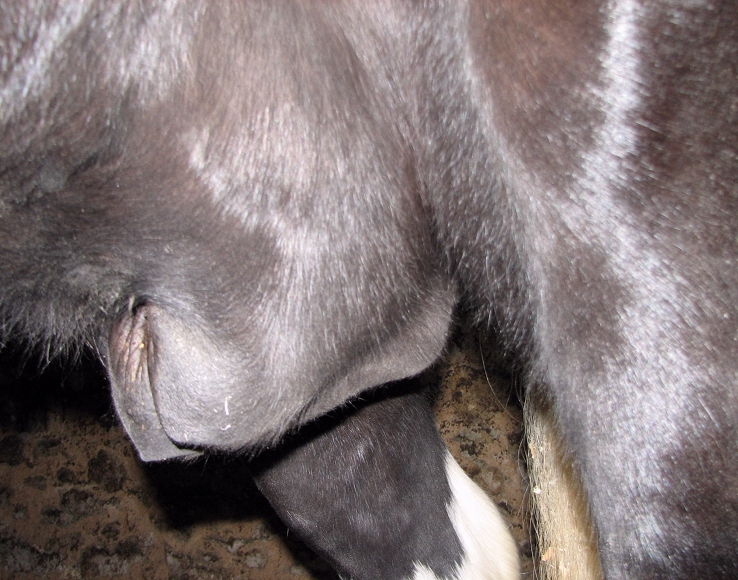 "EMS shares some of the features of MetS, including increased adiposity, hyperinsulinemia, IR, but differs in that laminitis is the primary disease of interest." Insulin resistance can be defined as the inability of normal insulin concentrations to stimulate tissues to uptake glucose. When a horse eats foods containing sugar or starch, glucose enters the blood, and this stimulates the pancreas to release insulin. When insulin attaches to insulin receptors, found on many cells in the body (muscle, fat, liver, heart), glucose is able to leave the bloodstream and enter the cell. With insulin resistance, the cells become resistant to insulin - the normal amount of insulin no longer gets the job done, and therefore the pancreas has to compensate by releasing increased amounts of insulin to move the glucose into the cells, to prevent blood glucose levels becoming too high (hyperglycaemia). This results in high blood insulin levels (hyperinsulinaemia), but glucose levels generally remain within the normal range (euglycaemia). Glucose levels above the normal range may indicate diabetes mellitus or PPID. 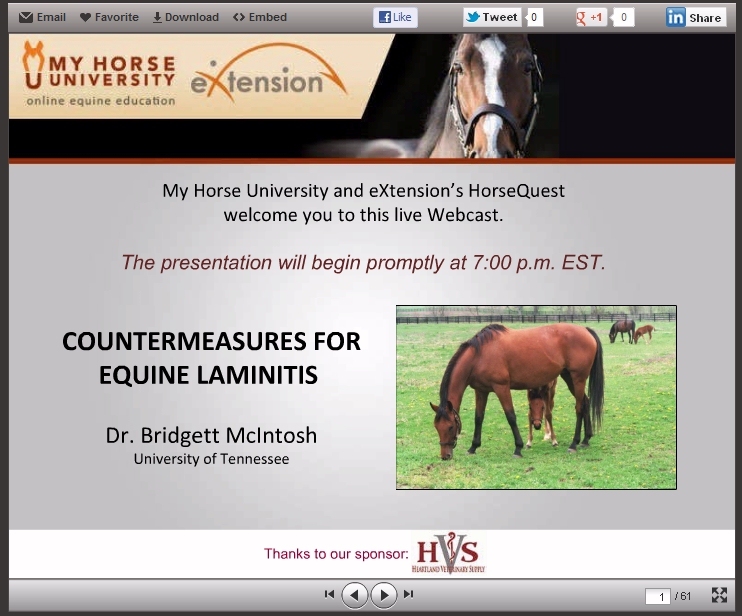 Click on the image for a presentation by Dr Bridgett McIntosh on Countermeasures for Equine Laminitis. What is the difference between compensated IR, uncompensated IR and Type 2 Diabetes Mellitus? Compensated insulin resistance is by far the most common form of insulin resistance (insulin/glucose metabolism abnormality) seen in horses - the pancreas compensates for the decreased tissue response to circulating insulin by secreting more insulin, leading to above normal insulin concentrations (hyperinsulinaemia), which manage to get the glucose into the cells so glucose concentrations stay within normal ranges (euglycaemia), although may be towards the high end of normal. Uncompensated insulin resistance may follow compensated insulin resistance if the pancreas starts to wear out - more technically referred to as pancreatic insufficiency or beta-cell exhaustion. Insulin concentrations are lower than expected in relation to the glucose concentration. 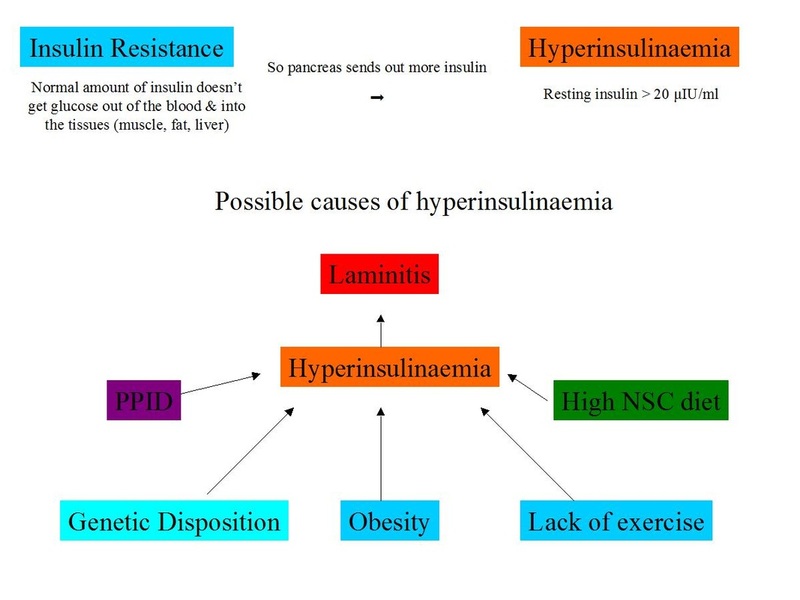 Initially as the horse transitions from compensated IR to uncompensated IR, both insulin (hyperinsulinaemia) and glucose (hyperglycaemia) concentrations may be above normal, but once the pancreas is no longer compensating, insulin concentrations fall back into the normal range and glucose concentrations remain above normal. Uncompensated IR could be due to PPID. Type 2 Diabetes Mellitus (T2DM) may follow uncompensated insulin resistance when pancreatic failure and the resulting hyperglycaemia leads to glucosuria (glucose in the urine) and excess drinking and urination. T2DM could be due to PPID. What is the difference between EMS and PPID? 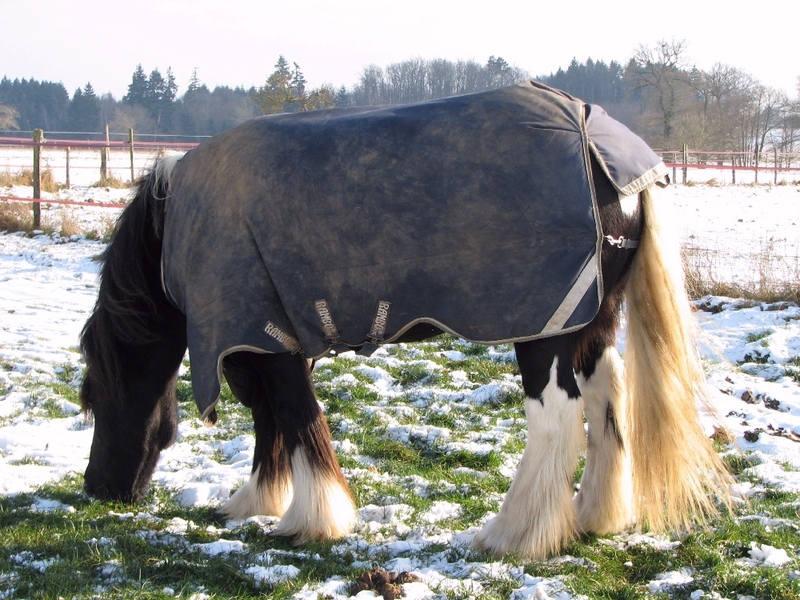 Horses with both EMS and PPID can have regional adiposity, hyperinsulinaemia and laminitis. Horses with PPID are often, but not always, insulin resistant. With PPID, it is the loss of dopamine producing neurons that ultimately leads to hyperinsulinaemia. With EMS, it is likely that obesity, lack of exercise, genetics and diet can all lead to hyperinsulinaemia. Testing for PPID using the resting ACTH concentration should differentiate between a horse with EMS only and a horse with PPID (although tests are not 100% accurate). This is important because a horse with unrecognised PPID that is being treated only for EMS is unlikely to improve significantly without pergolide. 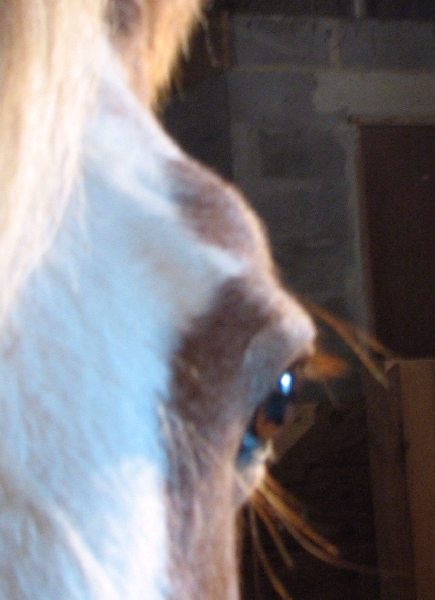 There is currently no reason to think that a horse will benefit from pergolide if it has EMS but does not have PPID. Initially basal/baseline insulin and glucose concentrations should be measured (plus ACTH if PPID is a possibility). Just one blood draw is necessary, but more than one blood draw will increase the accuracy of diagnosis. Collect blood between 8 am and 10 am the following morning - this should ensure a 6 hour period of fasting. Measure glucose and insulin concentrations. Insulin - fasting insulin is generally considered normal below 20 µIU/ml (138.9 pmol/l) (normal ranges can differ between laboratories using different assay methods - using a laboratory with widely accepted normal ranges can avoid confusion). Therefore a fasting insulin concentration > 20 µIU/ml (138.9 pmol/l) is diagnostic of insulin resistance. Horses with insulin resistance can have a normal resting insulin concentration. If there is reason to suspect IR/EMS but a basal insulin test is normal, dynamic testing should be considered. Hyperinsulinemia can be caused by stress, pain, recent feeding. Insulin concentrations are likely to be raised in a horse currently suffering from laminitis, therefore insulin testing should ideally be delayed until the pain and stress have lessened. Glucose - fasting glucose should be inside the laboratory's normal range (e.g.< 110 mg/dl (6.11 mmol/l)). Hyperglycemia is rarely found in horses with insulin resistance, although glucose concentrations are often towards the high end of the normal reference range. Hyperglycemia may indicate Type 2 diabetes mellitus or PPID. Hyperglycemia can be caused by stress, pain, recent feeding, some drugs and inflammatory processes. In a hospital setting, the Combined Glucose-Insulin Tolerance Test (CGITT) may be used. More commonly the oral sugar/glucose test (OST/OGT) is used. 1 flake of low NSC hay is given no later than 10pm the night before testing. The following morning the owner gives the horse an agreed amount of glucose/dextrose - e.g. in the UK a chaff feed is often given with 1g/kg bodyweight glucose or dextrose, in the USA 0.15 ml/kg bodyweight Karo Light Syrup (corn syrup) is given (this can be syringed directly into the horse's mouth). 60 - 120 minutes later the vet draws a sample of blood to test insulin and glucose concentrations. Depending on the laboratory, Insulin > 60 or 85 µIU/ml may be considered diagnostic of insulin resistance for the OST/OGT. 1. Weight loss if the horse is overweight/obese. 2. Low sugar/starch diet and exercise to increase insulin sensitivity. 3. In some cases medical treatments are advised. Management strategies for EMS/IR include using slow feeder systems, small holed hay nets, track systems, grazing muzzles, strip grazing, bare paddocks, more..
Owners of 19 horses with EMS but not PPID, 17 of which had a history of laminitis, were given individually tailored diet and exercise programmes to follow for 3-6 months. A reduction in body condition score was seen in all horses (from median 4.5/5 to 3/5); a reduction in bodyweight in 18/19 horses (average from 400 kg to 397.4 kg); and reductions in resting insulin seen (from average 33.71 to 9.82 mIU/L. Conclusion: A diet and exercise programme individually tailored and carried out by the owner results in weight loss and improvements in insulin sensitivity. Hudson, A.B., McGowan, C. and Morgan, R.
9 horses with EMS following a veterinary prescribed diet and exercise plan for an average of 16 weeks lost weight, had a reduced BCS and had reduced basal insulin values (55.7 uIU/ml to 11.2 uIU/ml on average) and an improved CGIT result. Donaldson et al. 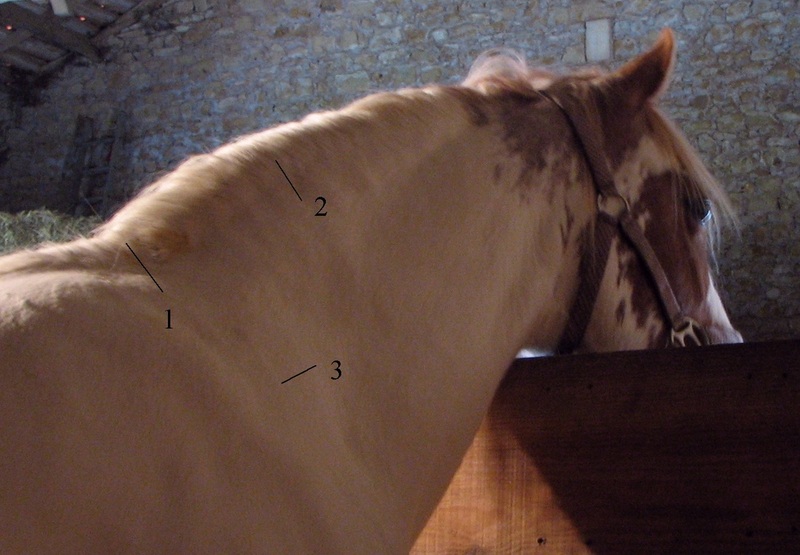 2004 - 1 horse with laminitis, a high insulin and glucose concentration, a cresty neck and BCS of 8/9 (i.e. obese) was treated with phenylbutazone, corrective trimming and a restricted diet, and after 4 months had insulin and glucose concentrations within normal ranges, was sound, and had a BCS of 5/9.